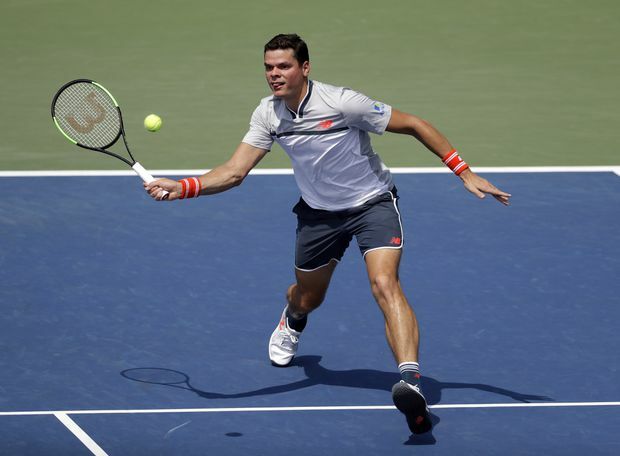 Milos Raonic defeated Gilles Simon in the second round of the U.S. Open on Wednesday. Milos Raonic felt he stepped up in the second round of the U.S. Open – and the scoreline indicates the Canadian did just that. “Obviously he’s an unbelievable player,” said Shapovalov. “He’s made multiple Grand Slam finals. He’s no walk in the park. He’s going to be a tough opponent, tough to get a rhythm with him. Obviously he’s serving unbelievably huge. There are plenty of similarities between the two. Raonic and Wawrinka both have a career-high ranking of No. 3 and live in Monte Carlo. They’re both seeking their first hardcourt title since 2016 and are coached by former world No. 2 players – Raonic by Goran Ivanisevic and Wawrinka by Magnus Norman.